How to add master page to SharePoint Online? In the Site Settings page, Click on "Master Pages" under Web Designer Galleries. This library is similar to any other document library. 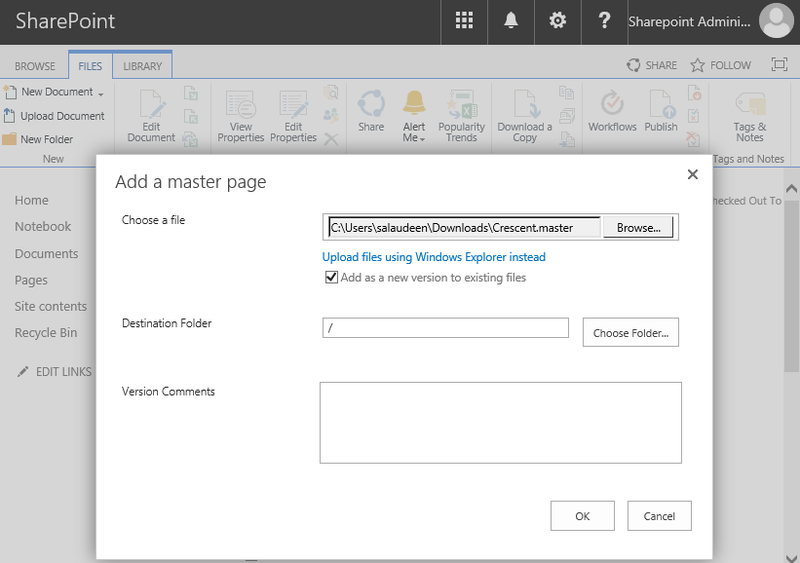 Click on "Upload Document" link, browse and locate your custom master page and complete uploading. 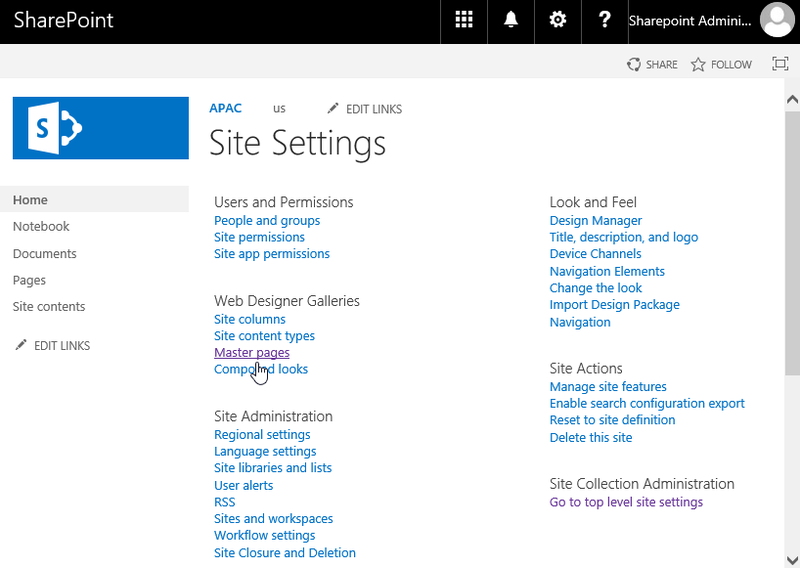 Once uploaded, you'll be able to change the master page either from SharePoint web UI or using PowerShell. This PowerShell script gets the Master page from the location specified, and uploads to SharePoint Online. Please note, this script uploads the master page only to the given site URL. If you want to upload the master page to all subsites underneath, uncommnet the lines . Once the Master page is uploaded, you can use this another article to apply the master page in SharePoint Online: How to Set Custom Master Page in SharePoint Online using PowerShell? Add-PnPMasterPage -SourceFilePath $MasterPagePath -Title "CrescentV2" -Description "Crescent V2 Master Page" -DestinationFolderHierarchy "CrescentV2"